Pizza La Rosa was founded and incorporated in July, 2013 with our first location opening on Dec 19th, 2013 at 2555 Victoria Park Avenue, Toronto, ON. We are growing as our happy customers/patrons spread the word and keep coming/ordering back for the consistency of the taste, service and authenticity as well as quality. Pizza La Rosa offers an exciting opportunity for individuals to grow professionally and invest in themselves, provided their passion and values are in line with those of the Pizza La Rosa family. 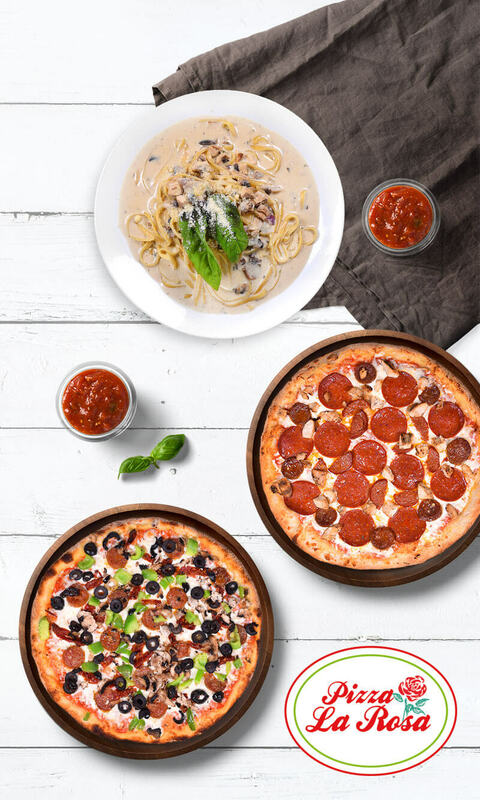 We are committed to and passionate about providing our customers with the highest quality Pizza, Pasta and will not sacrifice either for price. We are currently expanding our license opportunities in the GTA. Are you a motivated and friendly individual with passion for Pizza, Pasta and for people? Do you think you have the skills, commitment level, dedication, work ethic and character to be a Pizza La Rosa Franchisee? Please fill out the following form and sent it to us. When would you like to be in business?